The Countryman Inn is a weather-boarded freehouse pub in a quiet, rural location. There are two large bar areas, one with a large fireplace and the other with a dining area. There is a wide food selection from sandwiches to venison pie and the pub has a lovely sunny garden that overlooks a large expanse of field. Local Sussex ales normally on tap. Shipley Windmill is nearby and was used as a location for the TV series Jonathan Creek. The windmill is no longer open to the public but can be viewed from a nearby footpath. 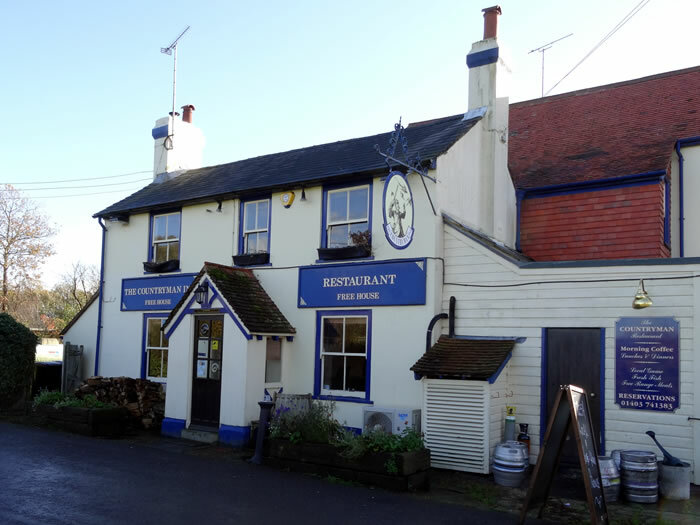 Visit the George and Dragon which is nearby, just north of the A272.